The DataSource property specifies the source of the data to be bound. 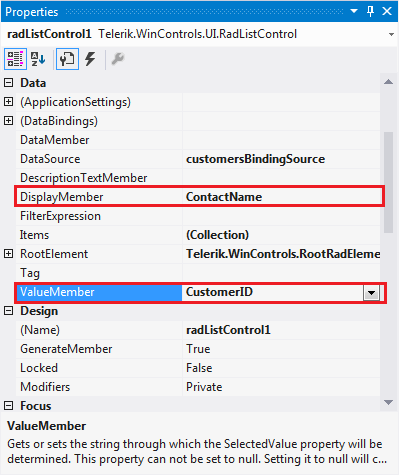 The DisplayMember property specifies the particular data to be displayed in a RadListControl. The ValueMember property specifies the particular data to be returned as the value of a RadListControl. 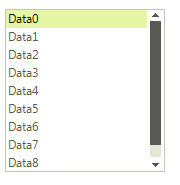 You can set the DataSource property at design time in the Properties window of Visual Studio. 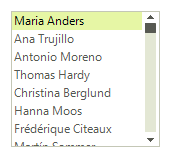 Select the DataSource property and click the drop-down arrow to display all existing data sources on the form. 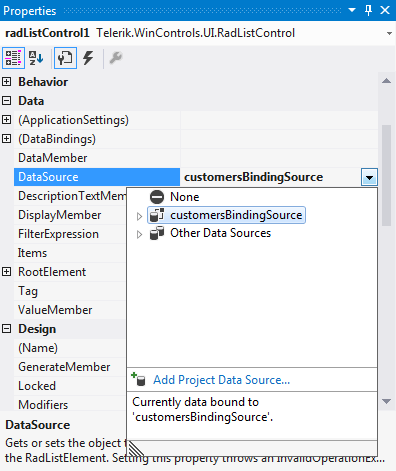 Click the Add Project Data Source… link and follow the instructions in the Data Source Configuration Wizard to add a data source to your project. You can use a single database table. Afterwards, you need to specify the DisplayMember and ValueMember properties.